Q. Messe Frankfurt India completes 20 years in India this year. How has been your growth story in India so far? A. When I was asked to take over the Indian subsidiary at the beginning of 2011 we only had one exhibition existing in the Indian market, which was Techtextil India. The major part of the business was our “outbound” business which was to support take Indian companies to our worldwide exhibitions and enable them to create global presence throughout our trade fair network. The aim and strategy set out in 2011 was to create a subsidiary that represented all the values and professionalism of the Messe Frankfurt Group and create optimum trading platforms to service the growing Indian market and generate business and networking opportunities for all our customers both at our Indian and international fairs. Our vision for India was very simple – we wanted to create the best trading platform for any given industry sector. The quality we bring to our events with the true expertise of organising international quality trade fairs, and with their business-oriented vibe coupled with the professional service has set our events apart. Today as we stand at 22 shows and over 35 conferences in India, Messe Frankfurt has bolstered its presence in the country and expanded offices in Mumbai and Delhi to meet the firm’s growing number of trade fair and conference activities. While our focus is creating the best trading platform for the industry, we also place emphasis on creating the best knowledge platform and facilitating knowledge transfer and best practices in the industry. We also actively associate with industry associations and key stakeholders as well as government bodies to advocate market sentiments. Q. Please tell us how was the year 2018 for your organisation? What all shows did you organiser in 2018? A. The year 2018 was meticulously planned focussing on new strategic tie ups and strengthening current alliances helping us as Messe Frankfurt India to magnify our presence in all high – potential markets of the country. Messe Frankfurt continued to grow in 2018, both through its existing exhibitions and conferences, but also was proud to have its newly acquired events opening its doors for the first time under the Messe Frankfurt banner, notably IEE Expo (International Elevators & Escalators) and Fitex, which were highly successful and rewarding for the company. Altogether, we organised 11 Exhibitions and 10 standalone conferences across different verticals around the country. 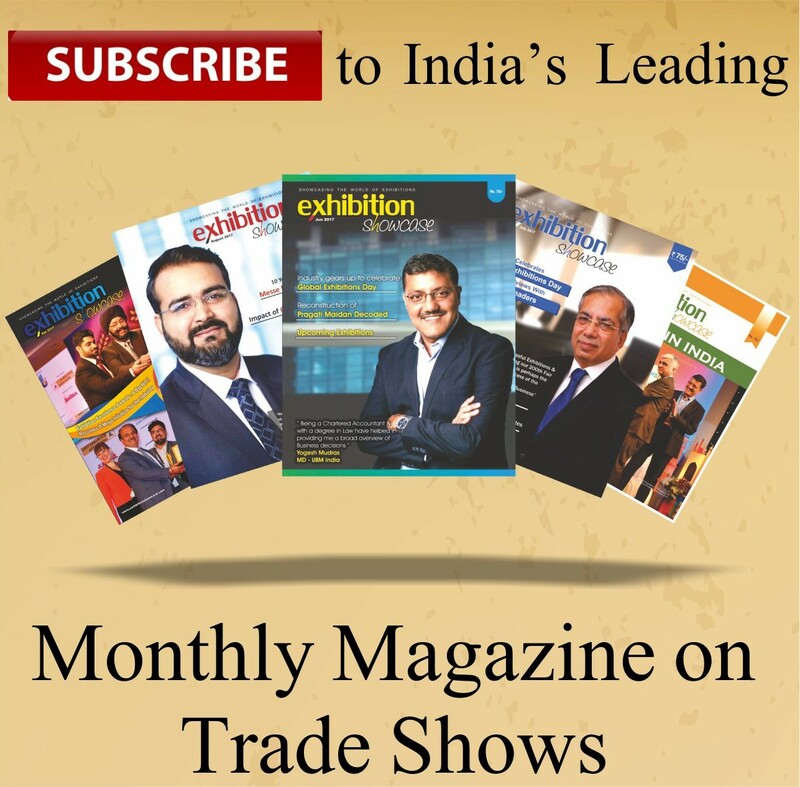 The key exhibitions during the year were International Elevator and Escalator Expo 2018, Media Expo 2018 (Mumbai and Delhi), ISH India powered by IPA, Fitex India 2018, Light India + Electrical Building Technology India 2018, Screen Print India, Heimtextil India 2018, Ambiente India 2018, LED Expo (Mumbai & Delhi), Secutech India. In addition, we covered the following segments through both our exhibitions and conferences – automotive, automation, building technology, textile, consumer goods, media and entertainment, infrastructure, lighting, railways, oil & gas, electronic security & surveillance, and pharmaceuticals. Q. What are your upcoming plans for 2019 and what are you looking forward to? A. We are excited for 2019 as the year begins with our newly acquired shows – Stationery and Write and Corporate Gifting Show which will be hosted for the very first time under the Messe Frankfurt umbrella. Next in line is one of our most awaited shows, ACMA Automechanika New Delhi that has become synonymous to the automotive aftermarket and is all set to break its previous records, showcasing exciting products innovation catering to Indian and international aftermarket trends. Our calendar this year also includes our flagship shows like Media Expo, LED Expo, and Techtextil India among others. Apart from these, fairs like Fitex India, ISH powered by IPA, and AES will continue to enhance its reach and the offerings we provide to our customers and partners. In 2019, we also have an interesting line up of conferences, some of which will be launched for the very first time and will bring the stakeholders of their respective sectors together to chart the roadmap for the future. e country. Another highlight of the Partner Country Project will be. the presence of Ministry of Textiles that aim to draw attention to Indian crafts, represent the wide scope of India’s modern art culture and promote handicraft exports. With the themes and design concepts expected to be curated by Sunil Sethi, President of the Fashion Design Council of India (FDCI), design and décor industry professionals can look forward to a grand display. Q. How many exhibitors are participating in the expo? romotion Council. We are confident that through these pavilions and exclusive displays, visitors will get a true experience of the rich culture of Indian art and craft. Q. On which sectors are you focusing more for exports? A. As organisers, we want all the sectors to attract as much traffic as it can for business and exports. As for the companies participating at the trade fair, they present their expertise in diverse sectors of Dining, Living, and Giving holding equal opportunities to market their products and collections at the fair. Q. Which designers have been selected to represent India? What are the design highlights from India that one can expect at Frankfurt this year? Crafts Forward, Crafts & Perspectives, and Crafts & Industry. Another highlight will be the front-runners of Interior Lifestyle Awards (ILA 2018) that has been lauded to encourage and promote India’s upcoming design talent. As 2018 winners, Hitesh Sharma and Pravinsinh Solanki will showcase age old techniques like steam bending and contemporary bamboo art in their products. All in all, the Partner Country India at Ambeinte 2019 will help the consumer sector of the world to explore how Future Is Handmade through a futuristic vision of the art culture of the country. Q. Which are the associations/councils organising Indian pavilion and partner country activities for Ambiente 2019? A. Messe Frankfurt’s high level of interaction with important sectors of the Indian industry, ensure that Indian manufacturers are highly visible at its events both in India and abroad. For the 2019 fair, Messe Frankfurt will be working for the very first time with Choir Board and HEPC – Handloom Export Promotion Council who will be present at Ambiente through their own pavilions. Together with EPCH – Export Promotion Council for Handicrafts, the three associations will bring in participation from over 105 companies out of the total 500 participants expected at the fair. For the partner country activities, Messe Frankfurt has joined hands with Ministry of Textiles and EPCH who will be presenting the concept of ‘Future Is Handmade’. Q. As the second Asian Country to be chosen as Partner Country, how will this event highlight India’s Design story? A. India is a country with diverse cultures and this diversity is clearly reflected in the art and crafts created by the artisans here. Indian craftsmen are very attached to their traditions but with changing times they have adapted to the modern approach which is mirrored in their handcrafted collections. I think this mix of traditional art with contemporary design will be an interesting fusion that the designers will bring forth and will be of special interest to the visitors and buyer community. Q. Please tell us about your acquisitions of S&W and Corporate Gifting and any further M&A plans for 2019? A. The Stationery & Write Show is regarded as one of India’s largest exhibition for stationery and writing instruments. Through this alliance, the 4th edition of the fair will now be presented by Paperworld under the Messe Frankfurt umbrella and the concurrent Corporate Gifts Show will add to the innovative showcase corporate and promotional gifting as well as merchandising. While we aim to enhance the quality of the platform with new propositions for our domestic clients, we are certain the alliance will open doors for our international exhibitors to tap the growing market segments represented at the trade fair. Messe Frankfurt has been committed to investing in India and has completed two decades of serving Indian industries and promoting Indian brands across the globe. The strategic factors that led to this association were also based on common business principles to provide enhanced exhibition experiences. We have some announcements and plans underway for 2019 and hope that the New Year will bring in many more opportunities that will fortify the overall presence of Messe Frankfurt in India.